While newspaper writer Church struggles with the death of his wife, he receives a “special” assignment. He must answer a little girl’s question about whether Santa Claus really exists. Based on a true story. Please add this movie to the list. I watched it in 1991 and it use to come on every year. I love it. I have an 8 year old daughter who I know would love to see this movie. Yes please add to the holiday line up. I, also would like to buy on DVD. 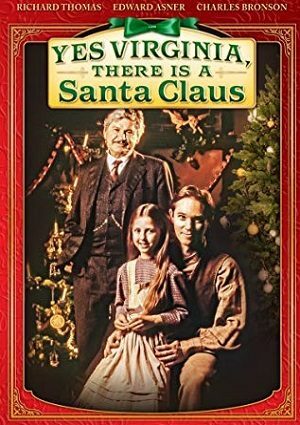 The 1991 version of “Yes, Virginia There is a Santa Claus” is a classic. Wish it were available to be seen again on television and for purchase on DVD. Please add it to your yearly holiday line up.